You are here: Home / Blog / The brilliant Christmas tradition your family should start today! 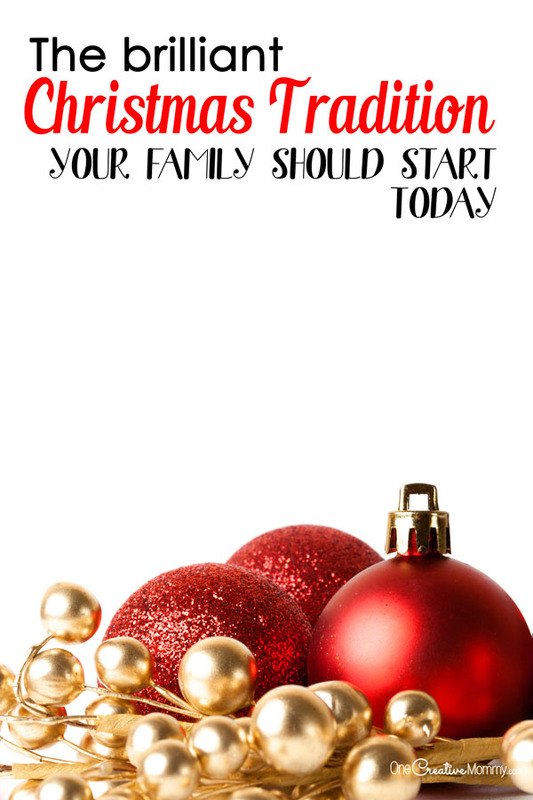 The brilliant Christmas tradition your family should start today! Last year, our family started the best Christmas tradition ever! Since our extended family often gets together for the holidays (with 24 people in one house), we are always on the lookout for meaningful activities to do together each night for Christmas devotionals. This year, two of my sisters brought handbells, and a new tradition was born! Today I’m sharing printable Christmas handbell music for five popular carols. Before I share the music, I’ve got to tell you more about our fun tradition! 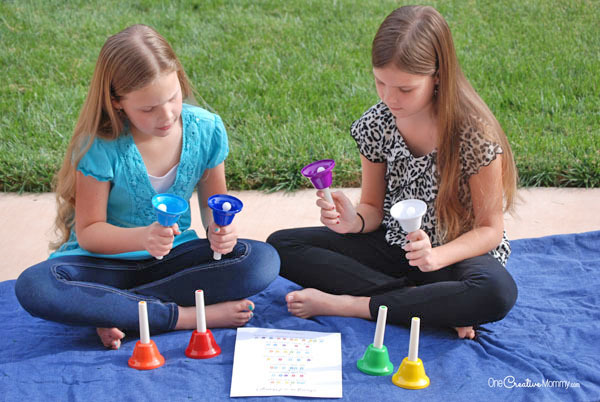 Handbells or Boomwhackers — enough that each person can have one bell (The music is for the set of 8.) You don’t need to buy the most expensive set of bells. My set was around $20, and it works just as well as my sisters’ more expensive sets. Family and friends ready to have some fun! Pass out the bells and music. Practice. Help everyone understand how to read the music and when and how they should ring their bell. Sing while you play. The notes on the printable show the correct timing, but you don’t need to be able to read music to play the bells. If you sing while you play, it will help everyone play with the correct timing. Ready to download your Christmas handbell music? I’ve included five songs: Away in a Manger, Jingle Bells, Joy to the World, Silent Night, and Silver Bells. Silver Bells is definitely the most advanced. Try that one after your family has lots of practice. I’ve included a color version (pictured above) and a black and white version. 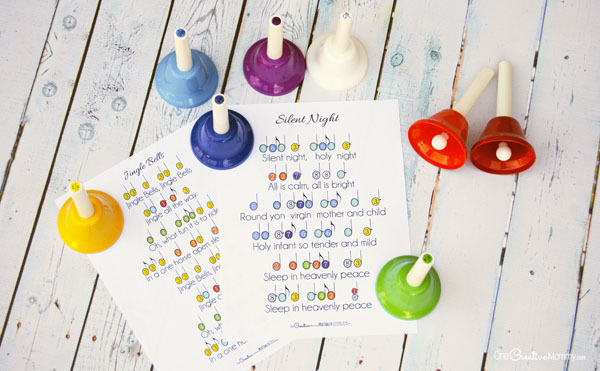 Choose the printable Christmas handbell music version that works best for you. Thanks for stopping by today. 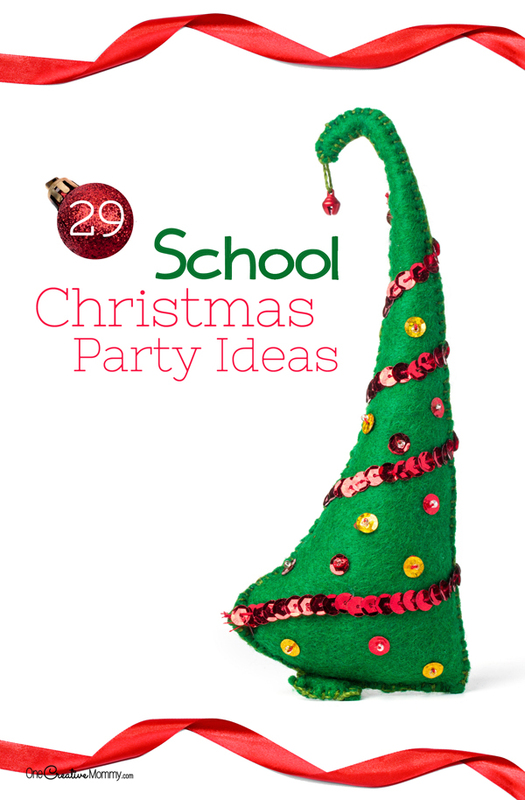 Be sure to check out more fun ideas for Christmas by clicking on the images below. Images are linked to posts. This is something most any child would love. We did something similar in Sunday School many, many years ago. I forgot until I saw this post. I agree, Rosey. What kid doesn’t love to ring bells? I got a chance to do this in church once, too. My kids love that they can do it whenever they want. This is really cute. 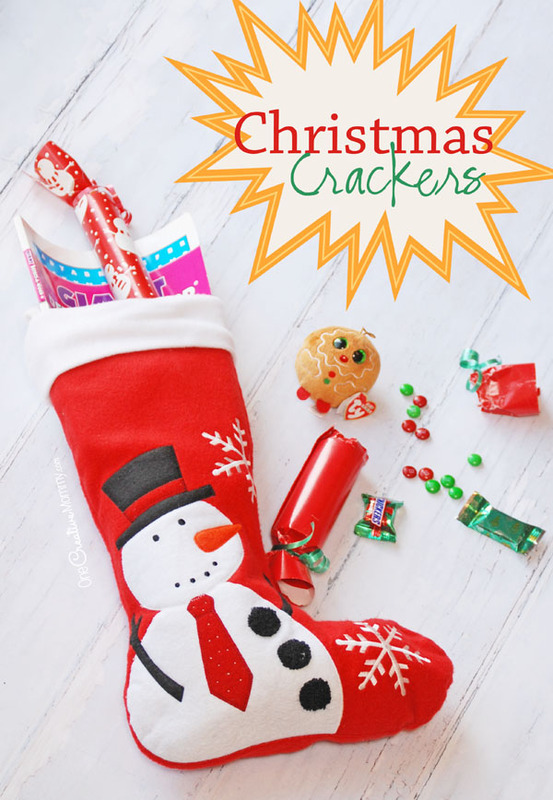 What a great DIY for the holidays, and then you get to play with them as well! Perfect all around! Thanks, Mitch. We girls started the tradition early this year. They’ve been having so much fun practicing! That is so cool! I’ve never heard of this before, but I’m sure kids find this a lot of fun. I know my kids would have a blast doing this. Definitely an original idea and I like that it takes a little teamwork too. Thanks, Marysa. It’s definitely fun, and it definitely takes some team work! I haven’t thought much about bells since my boys were very young. This is a cute craft. Thanks, Val. I’ll admit, I’m having just as much fun as the kids! Playing the bells is fun for adults, too. This is great! I haven’t thought about handbells since I was in school! We used to do them in music class all the time. I love the printable! Your right this would definitely make a wonderful new family tradition. Thanks, Carrie. It was always a special treat in music class when we got to play the bells. We didn’t get to do it very often. I love that my girls can do this any time they want. Thanks, Kristi. Thank goodness for school breaks! We’re stocking up on Thanksgiving and Christmas crafts for vacation right now. 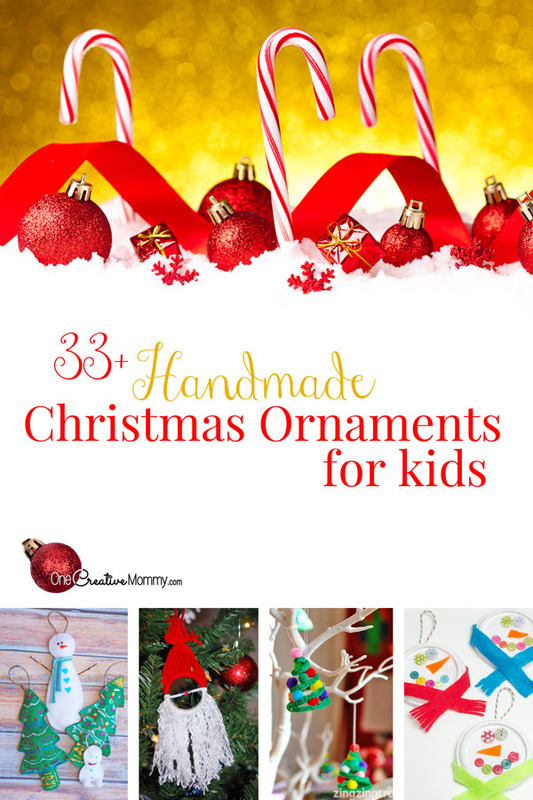 What an adorable holiday idea that the entire family can get involved with. We love music, so incorporating a tradition like this would be so much fun! Thanks, Marcie. We love music, too, so this tradition is perfect for us. Oh how fun! Such a wonderful holiday idea. Thanks, Ashley. My family has a lot of fun playing carols on the bells together. I have never heard of this tradition before. I bet that the more people you have the more fun it might be. We do it with four sets of bells and about twenty-six people (when the whole family is in town), and it is really fun. We also do it with just our family of five, and that’s fun, too.